If the thought of cooking dinner from scratch after work, traffic, errands, and everything else you do has you feeling like…. …then these Instant Pot recipes are your new BFFs. Some people find cooking to be a soothing Zen experience; others find it be a stressful hot mess of bubbling pots, splattering pans, and tangle of knives, spatulas, whisks, strainers, and steamers. This magical kitchen appliance is every cook and non-cook’s best friend: Throw a bunch of ingredients in it, press some buttons, and walk away. Then stroll back into the kitchen in less time than it would take you to dig out all those pots and pans and boom — dinner is served and your sanity preserved. Keep reading for 10 delicious Instant Pot recipes! Simply put, an Instant Pot is a multi-cooker appliance that lets you cook food faster. It’s basically a souped-up version of a traditional pressure cooker. It comes in three different sizes (3 quart, 6 quart, and 8 quart) and each has multiple cooking functions: slow cooker, rice/porridge maker, steamer, yogurt maker, egg cooker, cake maker, warmer, and sautéing/browning function, to name a few. You can turn pretty much any slow-cooker recipe into an Instant Pot recipe, but you will need to make certain adjustments — check your user’s manual or pressure cooking time charts. Below are some popular Beachbody recipes that we converted into Instant Pot recipes. If you prefer to make these recipes in your slow cooker or on the stove, click through to get the original recipe instructions. 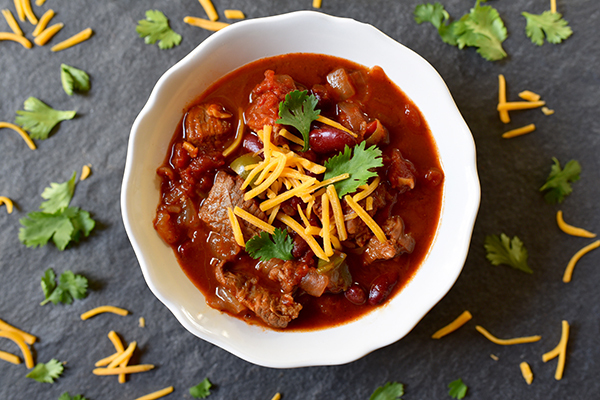 Whether you cook it slow or fast, this hearty, flavorful chili recipe is ideal for meal prepping or when you don’t want to wait hours for a bowlful of yumminess. And while you’re at it, make this healthy take on classic cornbread. Traditional gumbo recipes can feel heavy, but this lighter Chicken Gumbo uses lean chicken breast meat in place of high-fat sausage and uses arrowroot for thickener instead of butter and flour. 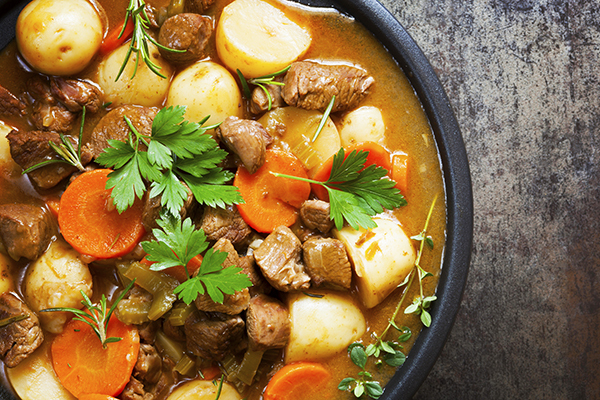 This delicious Irish stew is very easy to prepare, but it will make you look like a culinary wizard. The result is a rich, savory stew that combines vegetables like potatoes, carrots, onion, leeks, cabbage, and parsnips with lamb. Now, before you start thinking this chicken and farro recipe can’t possibly produce enchiladas, hear us out. The word “enchilada” means “seasoned with chile” and when the farro cooks with fire-roasted tomatoes in enchilada sauce, it absorbs all of the flavors and tastes just like corn tortillas that have been dipped in sauce and baked. 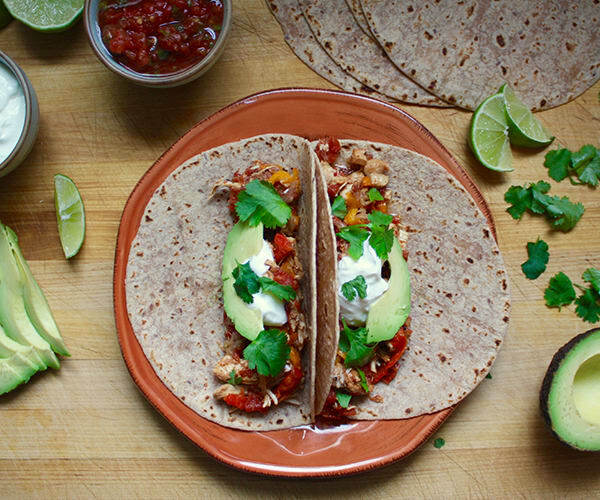 Have a fajita fiesta with maximum flavor and minimal effort with this recipe for Instant Pot Chicken Fajitas. Tender chicken is infused with the flavors of every ingredient, so each bite is bursting with bold taste. 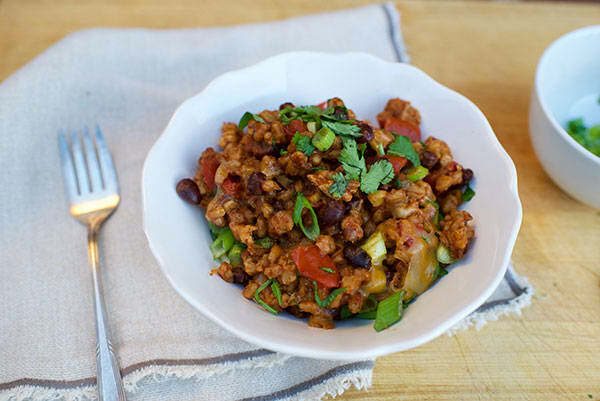 This Instant Pot recipe is great for a simple meal prep that cooks itself while you prepare the rest of your meals for the week. Instant Pots are a great way to cook nearly effortless meals, and clean up is a breeze. In summer months, this multi-function appliance is a lifesaver when it’s too hot to turn on the oven or stand over a hot stove! This Instant Pot recipe for chicken with quinoa and spring vegetables is light and hearty. 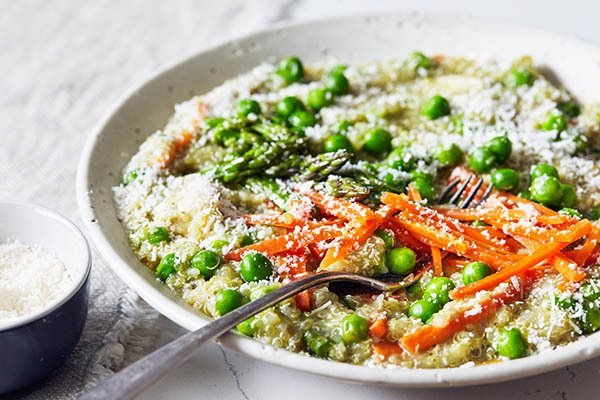 Add a sprinkle of Parmesan cheese on top when serving to bring all of the flavors together with a little unexpected richness. 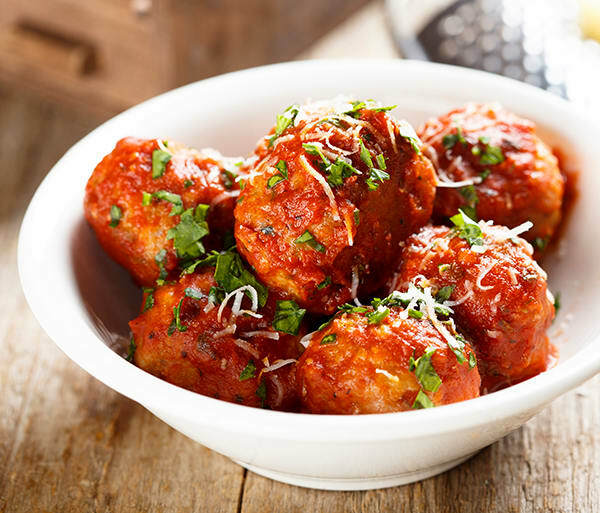 These Instant Pot turkey meatballs are flavorful enough to be enjoyed on their own, served with green beans or a simple salad. Or spoon them onto zucchini noodles or whole-grain spaghetti, tuck a couple into a pita pocket with a slice of mozzarella cheese, or serve them on toothpicks for a savory appetizer. 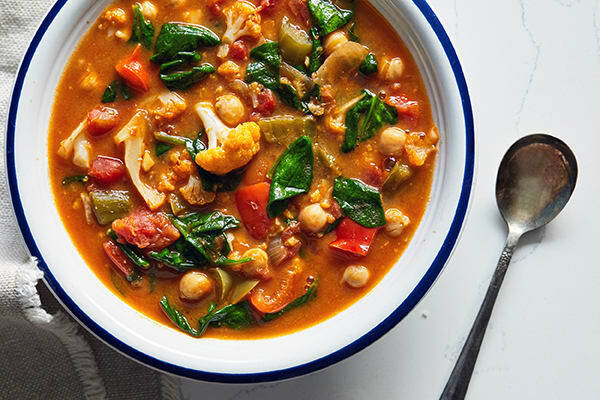 This simple Instant Pot stew recipe is packed with colorful veggies, like bell peppers, tomatoes, cauliflower, and spinach in a savory coconut curry broth. Each bowlful is so hearty and has so much flavor, you might not notice that this recipe is completely vegan! Banana bread for breakfast? Yes, please! It’s got all of the flavor of a luscious slice of banana bread, without the oily fat (or the extra smear of butter on top). 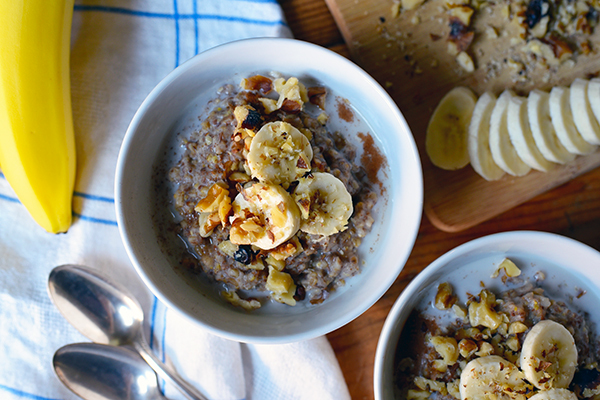 Cinnamon, nutmeg, and three whole bananas give it an authentic “baked-in” taste. 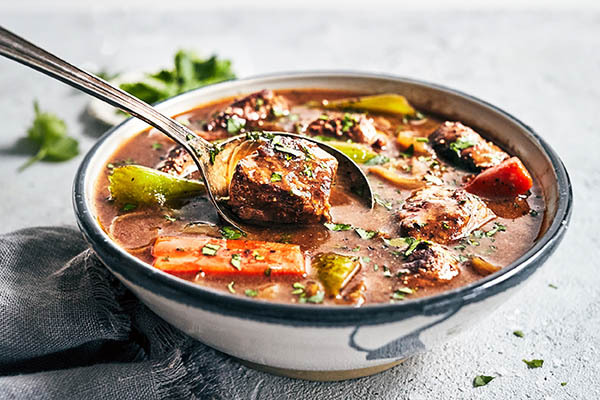 No Instant Pot recipe roundup would be complete without a beef stew recipe.